Since the Fraser Valley Bald Eagle Festival is right in my backyard so to speak, I took time away from the computer to ride my Goldwing up Highway 7 to Kilby, on the Harrison River, for the celebrations on Saturday the 19th. 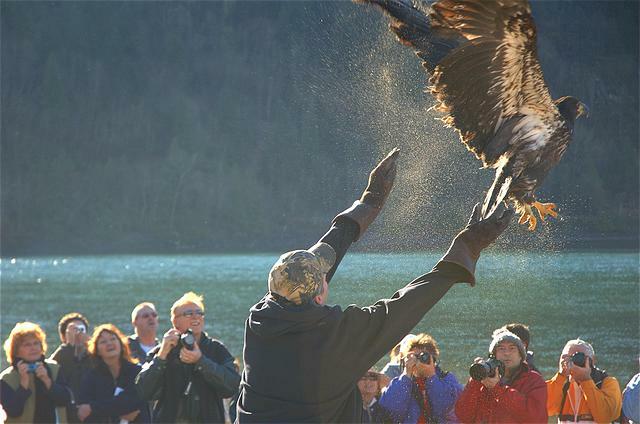 North West Coast Numbers of Bald Eagles likely to be record for 2005-06 wintering. On October 27, 2005 Hancock House launched a new WEB option - Our Forums. This option was prompted by our WEB master, Richard Pitt. He suggested that many of our book readers or WEB readers might like to comment on topics discussed in our many informational books, and particularly those of some controversy. [image1_left]Season: Mid-November through February Peak: December to mid-February.